Camping is an adventure and everyone should go on at least a few trips of their own. However, the problem with not having any prior experience is that you would probably end up making some pretty big mistakes. 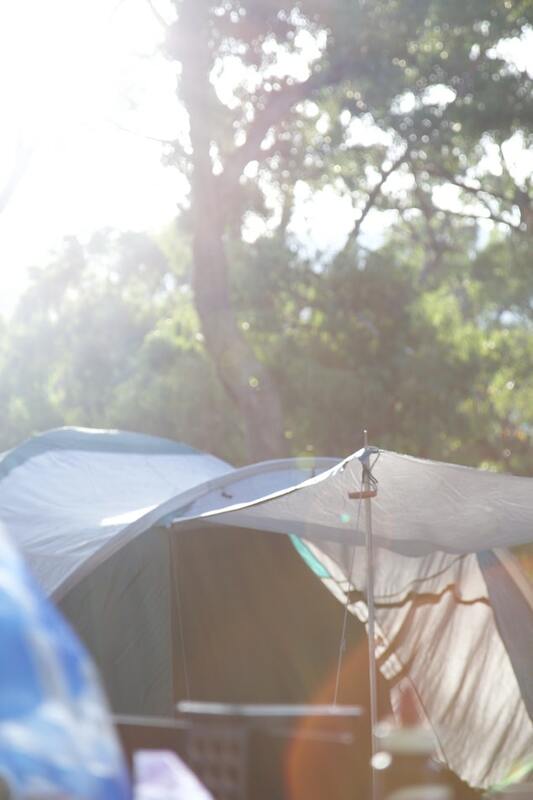 In order to help you avoid at least some of them, here are five of the worst camping mistakes that newbies often make. The dry bag is where you are supposed to store your food because keeping them anywhere else is just an invitation for wild animals to come and explore what you have. What most new campers don’t know is that even stuff like insect repellents and soaps can attract animals, so they are supposed to go in the dry bag as well. If you don’t like the idea of getting out of your tent in the middle of the night and trying to find your way blindly towards the place where everyone is supposed to pee or poop, then you just have to bring your own portable toilet. They can be installed right inside the tent and can handle a decent amount of human waste before needing to be emptied in the morning – or at your convenience. The weather can change anytime out in the woods and irrespective of what the weather station might be predicting, you just can’t trust the weather unless you are experienced with the local conditions. Pack and carry all your raingear, just to be safe. Tents have a tendency to develop unexpected leaks and this can happen even if you just bought it. To avoid being in a situation where it’s raining outside, and you are trying to avoid the drops that are leaking into your only shelter, bring a repair kit with ropes, a sewing kit, duct tape and maybe even a few metal pole sleeves to manage a bent pole situation. Check out My Family Tent for reviews of the best six-person tents. Food, water, and shelter are the basic requirements of human life, and when you are camping, you will learn to appreciate the civilization that we live in and take for granted. Any one of a thousand things can stall your planned trip and you need to be prepared for that. For example, a day of heavy rain can force you to camp and wait for the entire day instead of moving on as you had planned, or someone could get injured or sick and you may need to take an extra day or two to let him/her recuperate. In these situations and all the others, food is the most important resource. Pack more food than you need when you go camping. Now that you know, hopefully, you won’t be making any of these mistakes at least. As a general rule, never camp too far from your home or the car if you are relatively new at camping, and when you are at a public campsite, try to follow all the rules carefully because they are there for a reason. 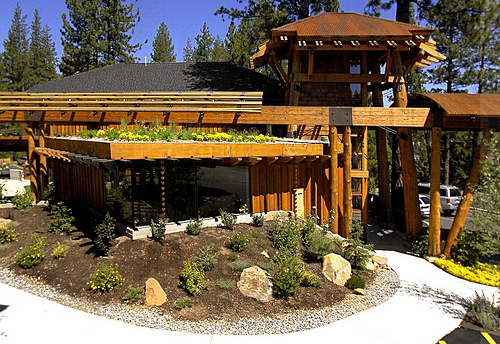 Lake Tahoe may not be the most environmentally friendly destination in the world. On the Nevada side, casinos make the environment less of a priority when there’s money to be made and won. The California side is better, but it still has a long way to go. The good news is that you can find some decent Lake Tahoe vacation rentals if you look hard enough that do support sustainable tourism. This article describes why you should make your vacation this year an eco-friendly one. Management around the Lake has started to encourage environmentally friendly tourism in recent years. The mass of hotels and buildings that shot up in the 1960’s and 1970’s are outdated and cause a lot of pollution. This may trickle into the lake and cause the water to go cloudy. This is now changing. The South shore is undergoing a huge renovation to make it greener and to cut the unnecessary emissions. You’ll also see more people caring about their actions and not leaving their litter along the side of the mountain. We need to set an example. Most people aren’t aware of the consequences of unsustainable tourism and we need to take the lead. This is why you should have an eco-friendly vacation to Lake Tahoe. Why Should You Stay at Eco-Friendly Accommodation? Eco-friendly accommodation around the world strives to reduce their print on the environment. This is an ideal place for you to stay if you’re always recycling and concerned about the environment when you’re back at home. You should do your research and avoid giving money to hotels that aren’t making an effort to keep this beautiful lake clean. Imagine the wildlife in the mountains and the fish that are suffering. You don’t have to be completely motivated by being green. In fact, you’ll find that they’re often more charming and have better views. Buildings tend to use reclaimed wood as a material and have beautiful gardens, which combined together gives it a rustic feeling. It’s a much better place to come and relax than inside one of the concrete jungle hotel blocks. Another major benefit for the traveler is that you’re going to meet likeminded people and others who share the same passion as you towards the environment. Friendships and meaningful bonds can blossom. The hotel is built and designed to reduce their environmental impact. This is usually by being minimalistic and relying heavily on the environment. A lot of eco-friendly hotels in the area take advantage of reclaimed wood from the mountains rather than importing timber from factories. Everything is more energy efficient in terms of power and water. Rooms and common areas are designed in a way to allow natural light to enter rather than relying on light bulbs. Exposure to sunlight also makes us feel good. Water is recycled and used sparingly rather than wasting gallons on gallons of someone lounging in the bathtub. Cleaning and bath products are more eco-friendly and the bed sheets will probably be 100% cotton. If this is your first time experiencing the green accommodation, you’re in for a treat. Views are spectacular and deep down you know that you’re doing the best you can to sustain the beauty. By staying in an eco-friendly hotel, your actions directly reduce the environmental impacts on the lake, which in turn is good for conversation. What If I Can’t Get a Green Hotel at Lake Tahoe? It’s not always possible to find a suitable place but it doesn’t mean that you shouldn’t do your best for the environment. Even if you’re not at a green hotel, you can always make sure you do your bit. This includes reusing bed linen and making sure that you turn off all the lights and power when you go outside. Another way to decrease your environmental impact is with the water. Avoid taking baths and use the shower water more carefully. For example, turn the water off when you apply soap and shampoo and only turn it on to wash it off. If you’re traveling as a couple, the amount of water that you’re going to save adds up quickly, especially if you’re staying there for more than a few days. Doing your part for the environment is a priority in the daily lives of a lot of people around the world. Sometimes it can be challenging to find a vacation destination where you’re certain to be in a place that actually cares. You don’t want to give your money to a hotel when they’re causing so much pollution. And the good news is that you can at Lake Tahoe. The advantages are plentiful and you’re doing your bit to preserve this beautiful part of the country.